The Capellana line of wines is a more fruit driven style designed for early consumption produced by Bodegas Nodus in Utiel Requena, Valencia, Spain. Since 1985 the Bodegas Nodus portfolio has expanded to include a range of styles, from joven wines to premium specialty wines. 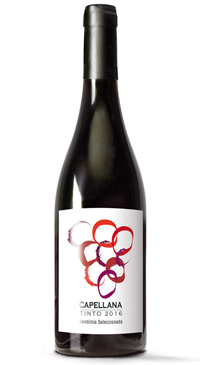 A lively and elegant 100% Tempranillo wine. Made from organic grapes, the wine is fermented and rests in temperature controlled stainless steel. This is an easy drinking style; fresh and red fruit driven.